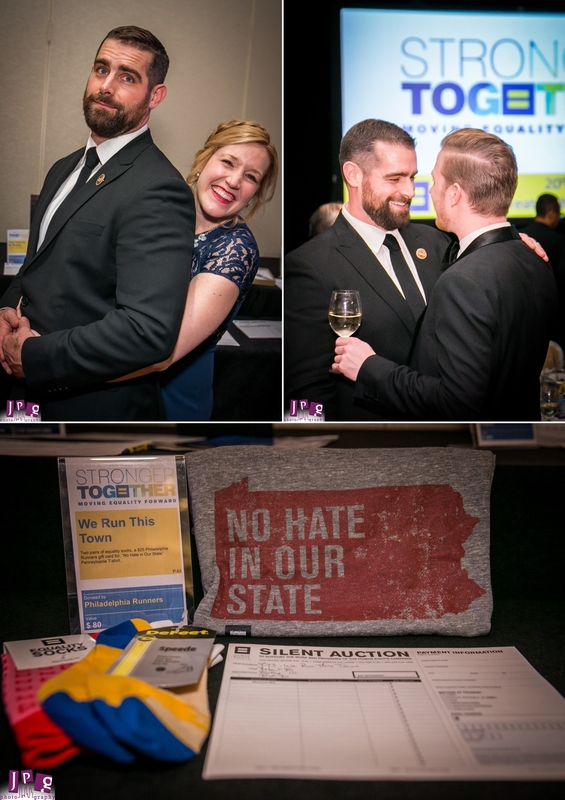 Philadelphia’s LGBTQ Community gathered at the Marriott in downtown Philadelphia to celebrate Marriage equality, while simultaneously recommitting to fight against the many laws still in effect undermining basic human rights in the United States and abroad. 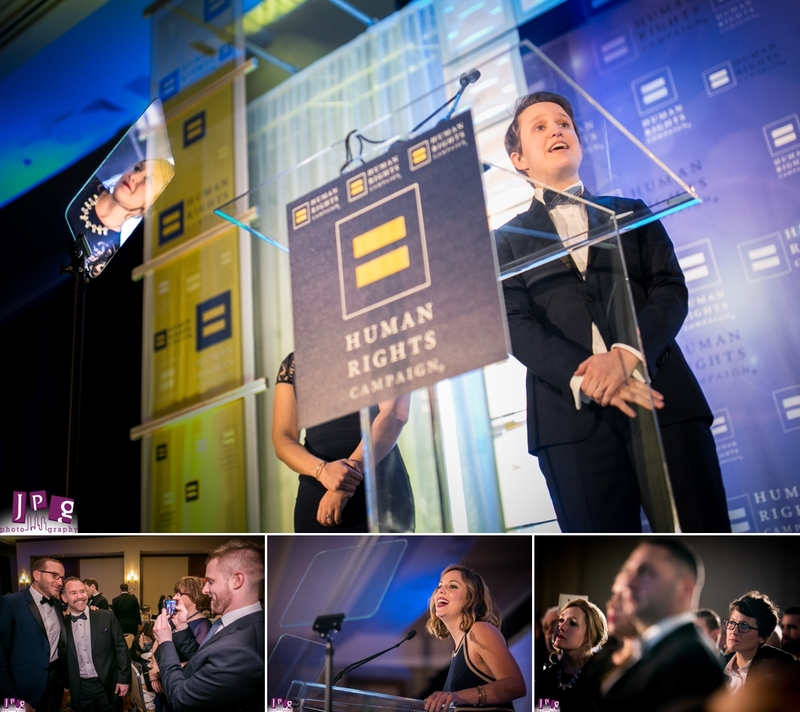 About 430 gathered for the Human Rights Campaign (HRC) Gala, and JPG Photography proudly offers itself as the non-profit event photographer as a sponsor for the 3rd consecutive year. JPG Photography is proud to be one of Philadelphia’s Charity Photographers because we care about organizations making our city better. 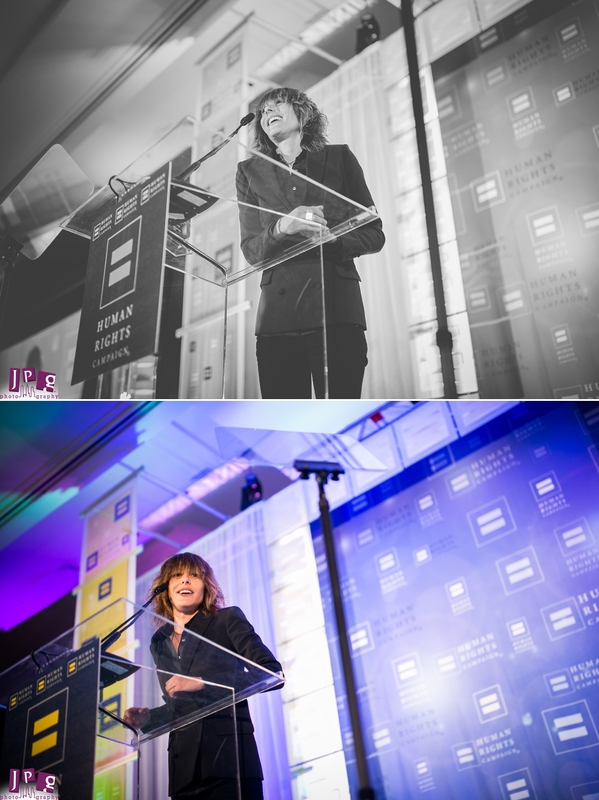 HRC is the largest national LGBT rights organization, with more than 1.5 million members. Their mission includes educating the public about LGBT issues, advocating LGBT inclusive policies, and promoting the social welfare of the LGBT community. Despite the landmark Supreme Court ruling that fully granted marriage equality, In some states, including Pennsylvania, you can still be fired based on sexual orientation. There is currently no federal law protecting LGBT workers against discrimination. And in many states, the LGBT community is not protected against housing discrimination. In other words, a gay couple could get married in the morning, and lose their home and job in the afternoon. We still have much to do. 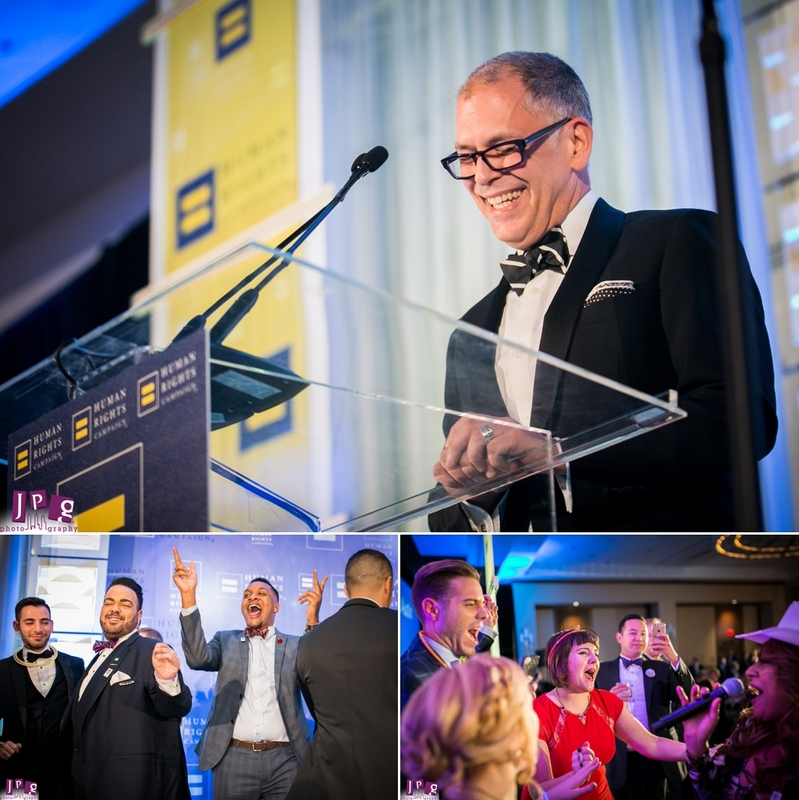 The HRC Gala gathered many regional and national personalities supporting this work, including HRC National President Chad Griffin and Supreme Court Plaintiff Jim Obergefell. 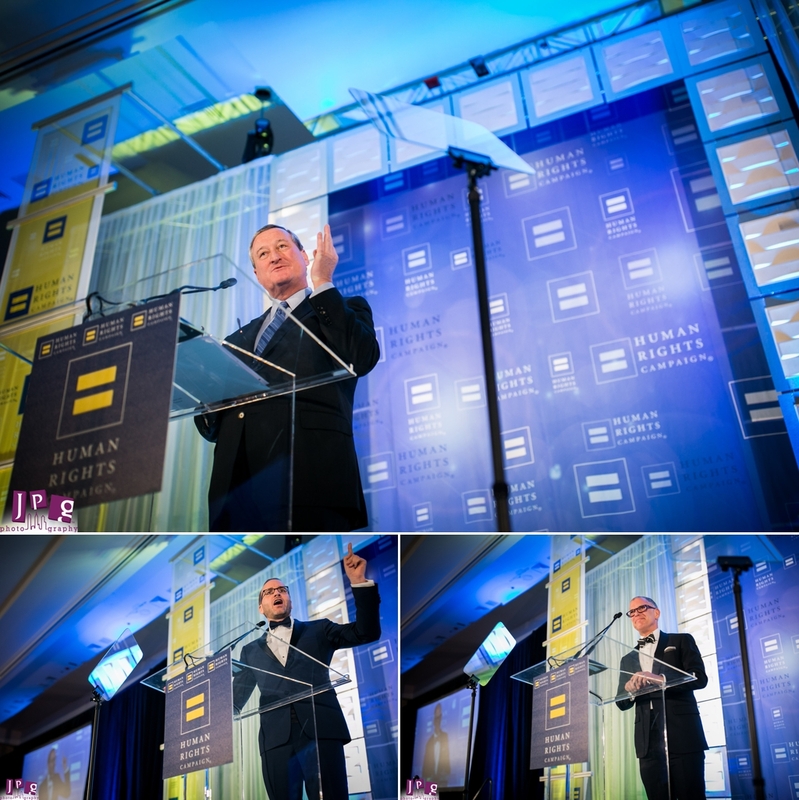 Philadelphia Mayor Jim Kenney gave an encouraging speech in which he mentioned Philly’s 100% score on the HRC Municipal Equality Index (MEI), and vowed to maintain the high rating in the future. The evening ended as most HRC events do — a dance party. 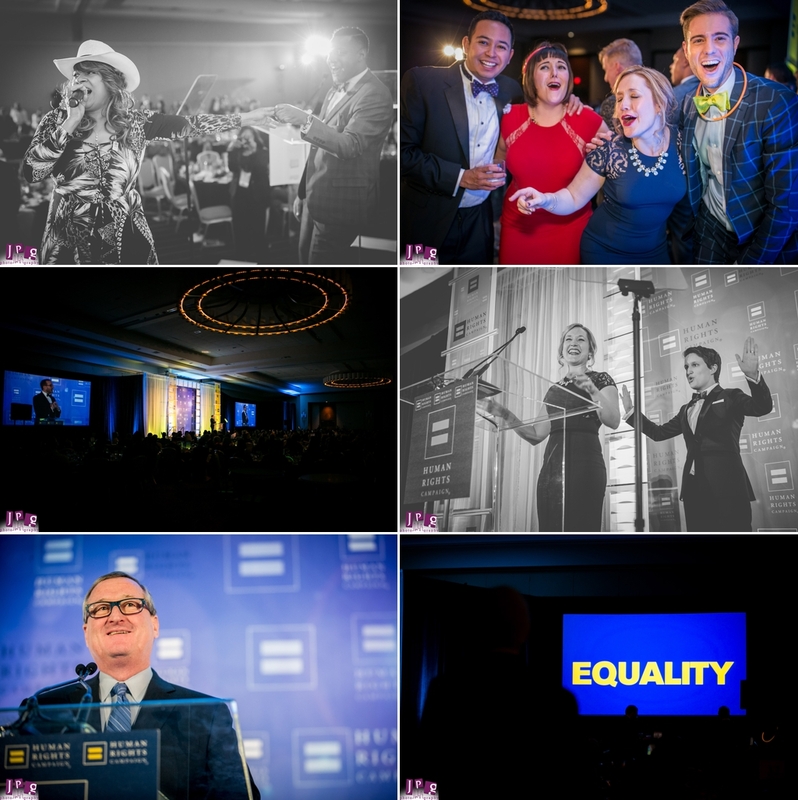 With so many personalities in attendance, and considering the impact organizations like HRC are making on the local and national level, you can’t take your chances on your photography. 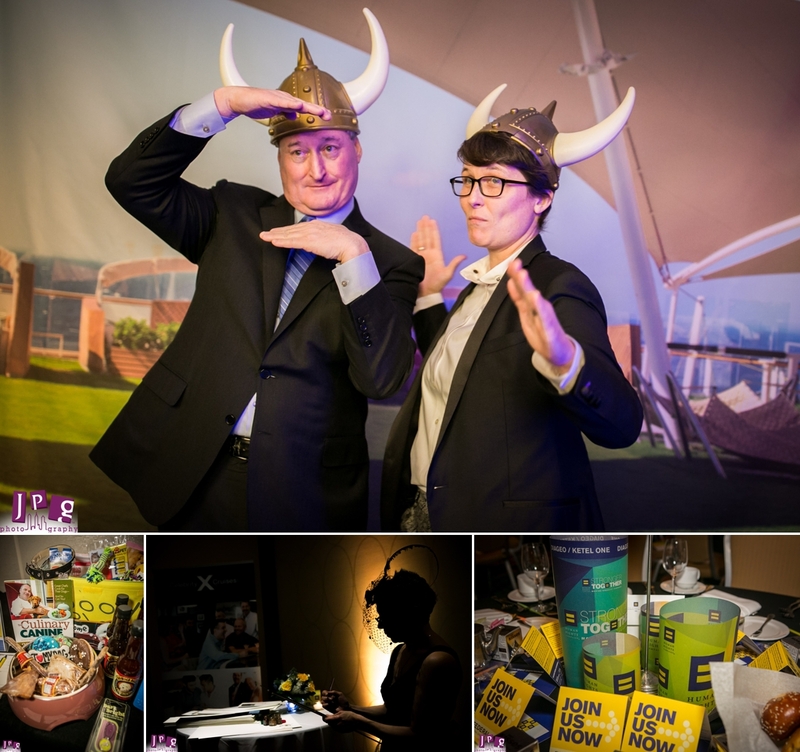 JPG Photographers have a keen eye for blending event photojournalism and portraiture. In addition to having the eye, we also have the heart for this kind of work. It was a pleasure to volunteer our services to this non-profit event. We look forward to a day when organizations such as HRC will no longer be needed. Until then, we’ll proudly lend our voice, sponsorship and art to the cause.